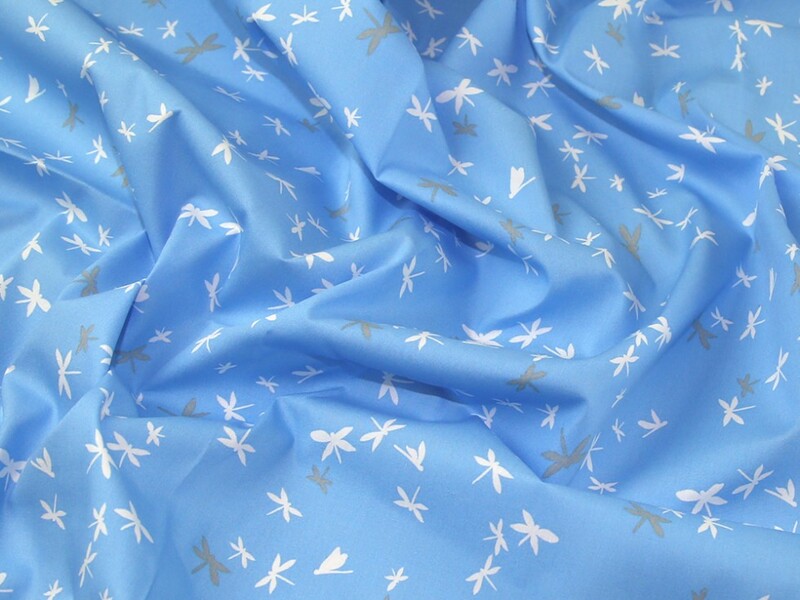 This gorgeous quality cotton poplin fabric features a pretty dragonfly print design with a solid background colour. This fabric is very easy to sew and easy care. You can sew a wide range of garment in this fabric from shirts and tops, to skirts and dresses. It is also very popular for home sewing and patchwork quilting.